Luca Zamai is the CEO and founder of FFL. His film career began as director of photography in the field of reportages and documentaries for international TV and film productions including ARD, Arte, VOX, Channel 4, RAI, MTV and VIVA. Since 2001, he has progressively shifted to production management, seeing him directing and producing short films. 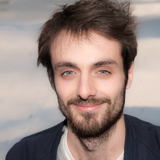 Luca is seriously invested in his film community, often appearing as guest speaker for support initiatives and advising as a panelist for film schools and festivals including HFF Potsdam, ISF, Berlinale and Sehsüchte. Simona Patrizi is the Marketing and Sales Manager at FFL. She’s an experienced professional in the management and communication of creative industries with a special focus in film industry and film festival. Her film festival background includes position as Festival Coordinator and Creative and Artistic Direction Assistant of the Rome Film Festival. 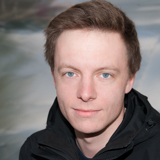 Andrew Wilkin is the Client and Community Support Coordinator at FFL. His editorial background has involved working at unlike. His film experience has included a position at moviepilot. Nadine Baethke is the Co-founder at FFL. Her film training is grounded in AV media Science at the Konrad Wolf Academy of Film and Television, Potsdam. Her editorial background includes positions as Sports Editor of RBB, Berlin, Editor at the Galileo TV science magazine Pro 7, Berlin and a degree from the Journalism School of Berlin. Marcin Luczaj is FFL’s Honorary Board Member. He is working as sales agent and festival programmer. You will find him hanging out at top festivals around the world.